Our friend and classmate Ron Sprengnether died on May 23, 2008 at the age of 63. His mother, Roberta Christy Lucas Sprengnether, came from an old St. Louis family. His father died as a young man, and his stepfather, Victor B. Harris, was a prominent labor and First-Amendment lawyer in St. Louis and an ACLU activist. Ron was quiet and studious at Country Day, with an interest in science. He enjoyed his time with us, which included playing football all the way through junior year. He played center on the front line, not easy for someone relatively small for that position. His older brother Bob still owns an old red-and-white CODASCO towel Ron saved from those days. After graduating from Country Day in 1962, Ron attended Case Western Reserve and graduated in 1967 from St. Louis University with a Bachelor of Science degree in Civil Engineering. He received a Master of Science degree in Civil Engineering in 1984 from the University of Missouri, Rolla. 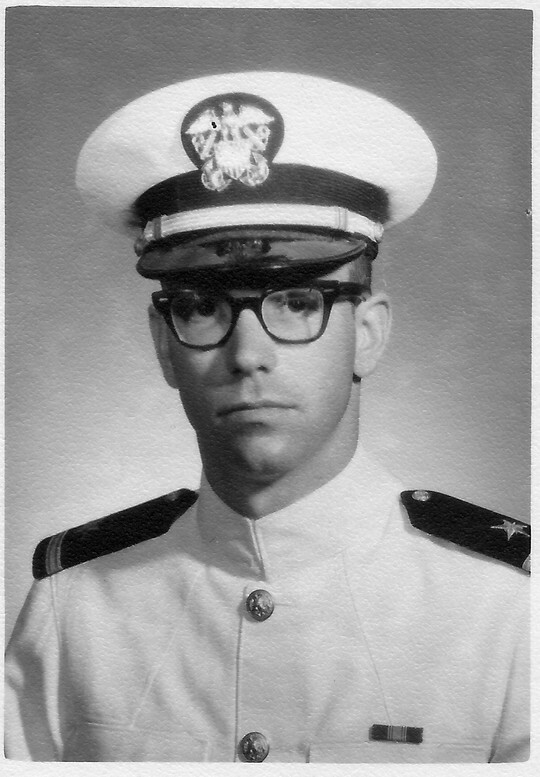 He served in the United States Navy from 1968 to 1971 as an Ensign and Lieutenant jg, at Puget Sound in Seattle, where he worked on prototypes of sub-chasing ships. On his discharge from the Navy, he returned to St. Louis, where he began work with the firm of Sverdrup and Parcel, continuing there until his retirement in 1999. Although he traveled widely in the United States, the Azores, and Saudi Arabia on projects for his employer, he was always happy to return to St. Louis and to the Compton Heights neighborhood where he grew up. Ron expected the best of himself and maintained the highest standards in every aspect of his life. He was devoted to his family, especially his mother, whose life he eased in innumerable ways. He was interested in science, technology and politics, as well as in nature and the environment. He was often ahead of his time in perceiving the advantages of new technologies and mastering them. He was his own person from his earliest to his later years—kind, thoughtful, more than usually attuned to the feelings of others and to the temper of his times. "Ron was as perfectionist in his work ethic as a civil engineer at Sverdrup and Parcel as he was in cutting out that Christmas tree in kindergarten. He insisted on doing things ‘right, even if it meant taking more time than his supervisors had allotted for the job. This sometimes put him into conflict with people who were less conscientious or more concerned about meeting a deadline. Ron always spoke up for what he believed and never compromised his principles, which meant that he put in far more hours on the job than his co-workers, in an effort to satisfy himself—and his employers. In addition, he was always investing time improving his skills, learning new computer programs, for instance, in his spare time. "Yet he also liked to have a beer, discuss politics (about which he was very knowledgeable) and relax. He was sensitive to nature, concerned about environmental issues and tender towards children. I think he was an essentially shy and private person, who did not show his emotions easily. His feelings ran deep, but were not apparent to many people. He loved St. Louis and the Compton Heights neighborhood where we all grew up. Though he traveled to many places—including Saudi Arabia and the Azores—he was always happy to come home. Two stories about Ron stand out for me, in particular. After Mom died, Ron told me that in the last months of her life he used to bathe her feet in the morning. Her toes were infected, and he would swab them with antiseptic and change the bandages before leaving for work. He told me this, not because he was proud of what he did, but because he felt embarrassed that he had been in a hurry and wished he had taken more time. Click here to see Ronald J. 's last Profile entry.